Alice Keeler designed an awesome Google Slides vocab template for a math scavenger hunt. In her version, students can use their mobile devices to take pictures of visuals that associate with math vocab terms and can demonstrate their understanding of terms through descriptions. 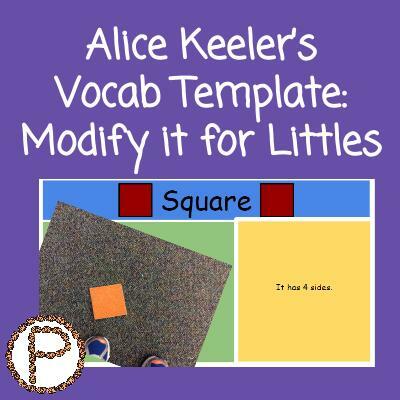 I strongly suggest you read her blog post: “Math Vocabulary Scavenger Hunt” first and then come back to my blog if you want to learn how to modify the template for littles. When you stop and think about it, the idea of a vocab template can be used across content areas and can be modified for any grade level! All it takes is some adjusting in the master slides. Click on the link for the template for this activity and view the video below it to learn how to adjust the template. 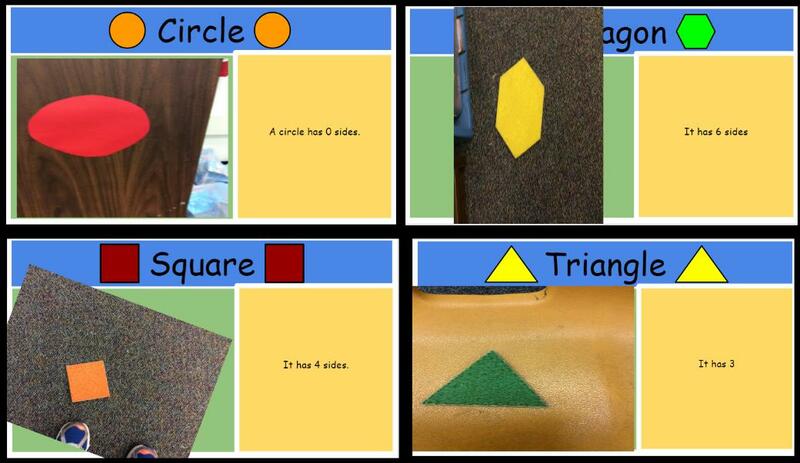 I really wanted my kids to take pictures of shapes they saw in the classroom. Unfortunately, when I had my students do this activity, it was the end of the year and I had taken down a lot of things that could have served as visuals for the kids during the scavenger hunt. I improvised and put some shape cut outs around the classroom for the kids to “hunt” for. Below are screenshots of slides from different students. 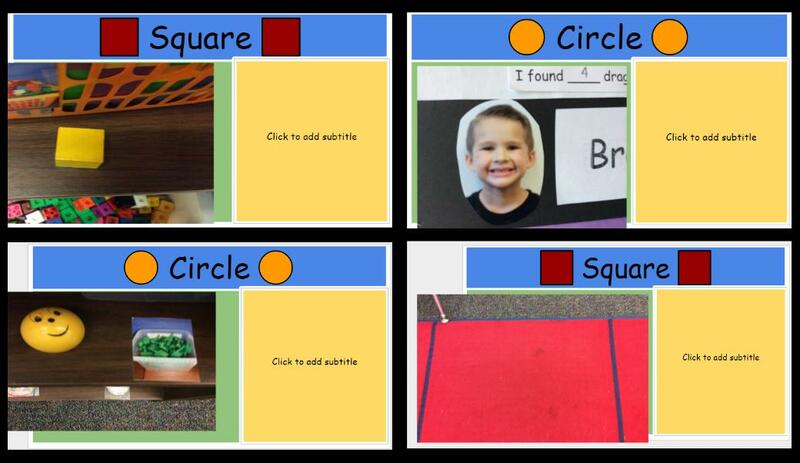 Many of my students were past the skill of identifying shapes by their names. We had a discussion about how we can tell which shapes are which by the number of sides they have. The kids completed the vocab activity with iPads. They took pictures on the iPads, inserted them, and adjusted the image sizes as best they could to fit in the green box. 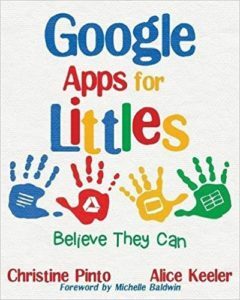 View my blog Inserting Images in Google Slides on iPads to learn of some tips I gave my students when they learned how to insert pictures. On the iPad keyboard, there is a microphone key which allows voice to text. The feature is awesome, except it is either a hit or miss with what the kids are actually saying. Regardless, it was neat to hear my kids talking about shapes! Some kids finished early. So I refreshed the kids’ memories on how to insert a master slide. 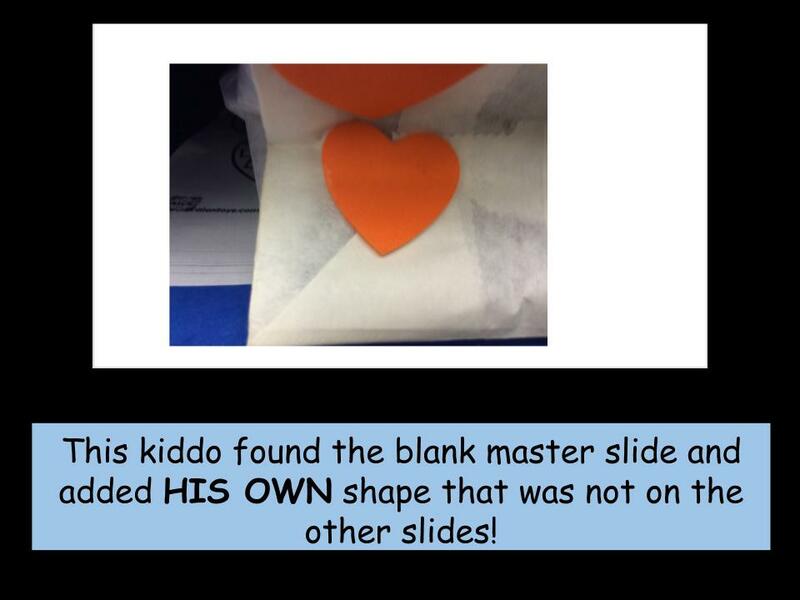 I instructed them to take a different picture of the shape on the slide and to look for something in the classroom that looked like that shape. I was shocked at what they found! Some kids found flat objects, while others related 3D shapes to 2D shapes (we had not discussed the difference between the two). Since it was the end of their center rotation, the kids did not get a chance to add voice to text for those slides. 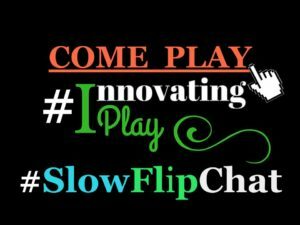 While students may not be able to go up to something in the environment to snap a photo with Chromebooks, students can bring something to the Chromebook’s webcam. Of course, this depends on the context of the vocabulary. Example: 3D shapes – Students can bring an object from home that has the attributes of a 3D shape and place it somewhere in the classroom, or in a “gallery area.” When students are working with this template, they can grab an object and bring it back to the Chromebook to take a snapshot via the webcam. The Chrome extension Talk and Comment looks very kiddo friendly. Students can record their voice to describe the image they took and how it relates to the vocabulary term. They are then provided with a link to the recording that they can paste directly onto the slide.